How well known is Ebico? It is a company founded in 1998 by a small group of Christian businessman as an alternative energy supplier. They were responding to the unfairness where the poorest customers, who could not afford volume, or prepayment discounts, ended up subsidising the more affluent users of electricity, seeking to eliminate and reverse that subsidy. It is a form of stewardship of resources of which Jesus might well have approved. 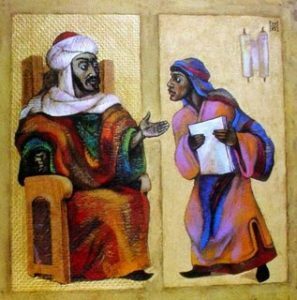 Luke (and only Luke) in his gospel records a puzzling parable told by Jesus regarding a crafty steward. It would be easy to over-analyse it, but it is essentially a “how much more” parable: if even a devious manager can realise that relationships are more important than wealth, then how much more should we, as disciples, realise that true riches are to be found in relationships (with God, and with those around us) rather than in material possessions and money? Luke’s parable of the crafty or devious steward comes at a point in Luke’s gospel where he has assembled a number of stories relating to wealth. This parable is partly about money, something that Jesus addresses quite frequently in the gospels, but also about priorities. How do we make decisions regarding our money and possessions? How do they fit within the compass of our priorities vis a vis our relationships? Who or what do we really rely upon? Where do we expect to turn in times of difficulty? To our savings accounts? Or to those around us? Or to God? We might ask: where is Jesus in this parable? What if he is actually the steward/manager? After all, Luke has been telling us for some chapters how much trouble Jesus encountered for telling people that their sins were forgiven. Jesus often uses “debt” as a metaphor for sin – so perhaps the one going around cutting people’s “debts” represents the one going around forgiving people’s sins. Time and again in the gospels, Jesus uses parables to hammer home the message that God is not like a normal creditor, insisting that we pay what we owe; God forgives us freely, and much more than we deserve. There is no simple explanation of the parable by Jesus: we are left to wonder how to respond to the observation that we cannot serve God and wealth, even though that is what we all end up doing. We need to remember that this is a parable, not an allegory, nor advice on running a business. It is also striking in its wayward depiction of its characters – perhaps it was even told as humour – something to grab attention. Certainly, it forces us to consider the balance between relationships and prosperity. But there’s a catch. This parable comes after the story of the prodigal son, who spent a lot of money having fun, and presumably trying to buy friendships. Where were all his friends when he was down and out? Those listening to Jesus – those who hear this story even now – might have put the two together to think about the strength of those friendships that are cultivated in plenty and prosperity. The old saying, “A friend in need is a friend indeed,” was not coined in abstract. The character of the steward, or manager, directs us to consider how we behave as stewards of what God has entrusted to us. In steering us towards relationships as a sounder form of economy than material wealth, the parable still asks the question: which relationship is most important? Human relationships can be fickle and sometimes unreliable: there is only one utterly reliable and secure relationship. The parable asks us how we conduct that one relationship, and how we build from it sustainable Christian relationships. It asks us about our stewardship of the resources entrusted to us. And it asks: why are there not more companies like Ebico?